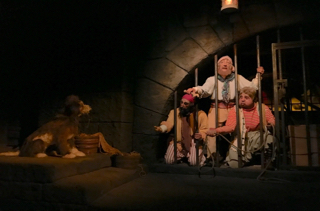 Although Pirates of the Caribbean is one of the most popular attractions at Walt Disney World, it is a tough one for photography. Whenever you mix darkness and motion, getting a clear picture is a difficult proposition. However, I was able to get this shot of the classic "jail cell" scene a few days ago.